So much to read, so little time? 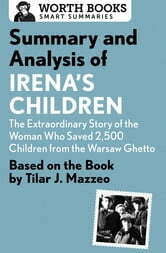 This brief overview of Irena’s Children tells you what you need to know—before or after you read Tilar J. Mazzeo’s book. Despite great risks, Irena Sendler, known as the female Oskar Schindler, rescued approximately 2,500 Jewish children from the Warsaw Ghetto—and death. 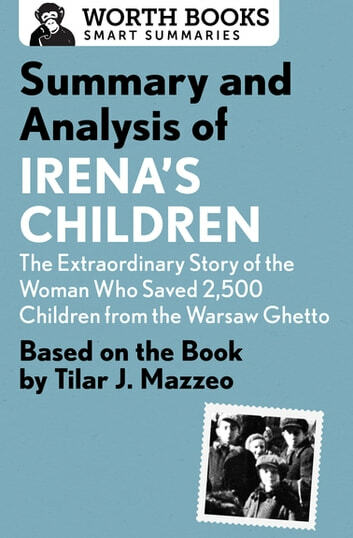 Using a secret underground network to place children in foster families and Catholic orphanages, and providing them with new identities through forged paperwork, Irena was able to smuggle the children out of the ghetto and past the Nazis. She was eventually caught and tortured, and the men and women who worked with her risked the same fate every day. Irena’s Children is the incredible story of a brave woman who would do anything to save the lives of innocent children during the world’s bleakest times.